The Golden Gate Bridge is a suspension bridge spanning the Golden Gate, the opening of the San Francisco Bay onto the Pacific Ocean. 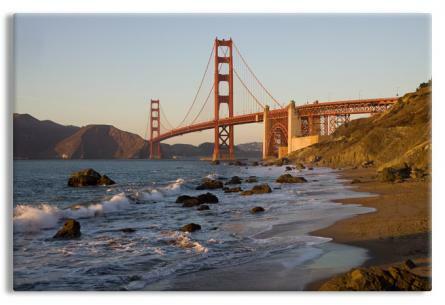 As part of both U.S. Route 101 and State Route 1, it connects the city of San Francisco on the northern tip of the San Francisco Peninsula to Marin County. The Golden Gate Bridge was the longest suspension bridge span in the world when it was completed during the year 1937, and has become an internationally recognized symbol of San Francisco and California.